Russia will give Venezuela a credit for $US 1 billion, a Kremlin source said to RIA Novosti news agency. The money will give a boost to the military co-operation between the two countries. 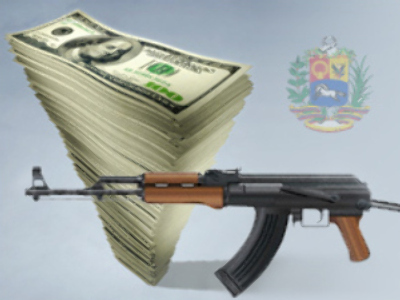 The unnamed insider said Venezuela has signed a total of 12 contracts for arms supply worth more then $US 4.4 BLN over the course of 2005-2007. All the deliveries are ‘in full accordance with the international regulations and legal norms,’ the official said. Venezuela has become a major buyerof Russian military hardware recently. Caracas has purchased 100,000 AK-103 assault rifles along with 40 Su-30MK2 jet fighters and about 50 combat helicopters, says Interfax-military news agency. On the future shopping list are 20 Tor-M1 air defence systems and three or more submarines. The two countries are about to hold joint war games near Latin American coast. And last week Russian strategic bombers TU-160 flew across the Atlantics to take part in exercises. An arms trade expert Ruslan Pukhov says that the latest military moves by Moscow and Caracas could seriously strengthen their relations. “It is an important step in our co-operation with Venezuela because despite the term ‘military-technical co-operation’ between Russia and Venezuela, it simply means arms trade. And it doesn’t mean military co-operation – joint exercises, more trust. We can now say there is a big chance that Venezuela will not be only buying Russian military hardware but also will support the Russian line as far as the recognition of both newly independent republics is concerned. But it is difficult to say whether it will happen right now or a bit later,” Pukhov said.